Matthew’s special effects work is featured in Aardman Animations’ latest film, Early Man. Producer Peter Lord wanted a set of volcanic eruptions in keeping with the characteristic Aardman look and feel. It had to be real and not computer-generated. 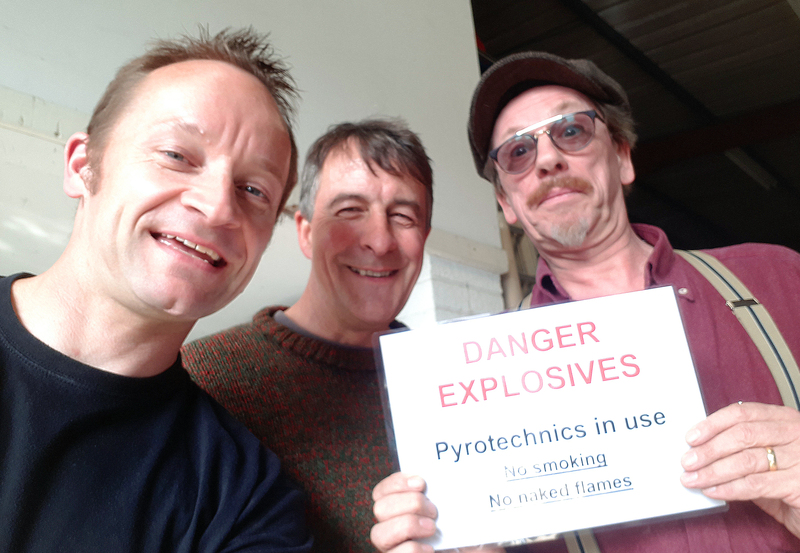 Matthew was approached by Director of Photgraphy, Dave Alex Riddett, in April 2017 with a request for very specific flame, smoke and debris effects. 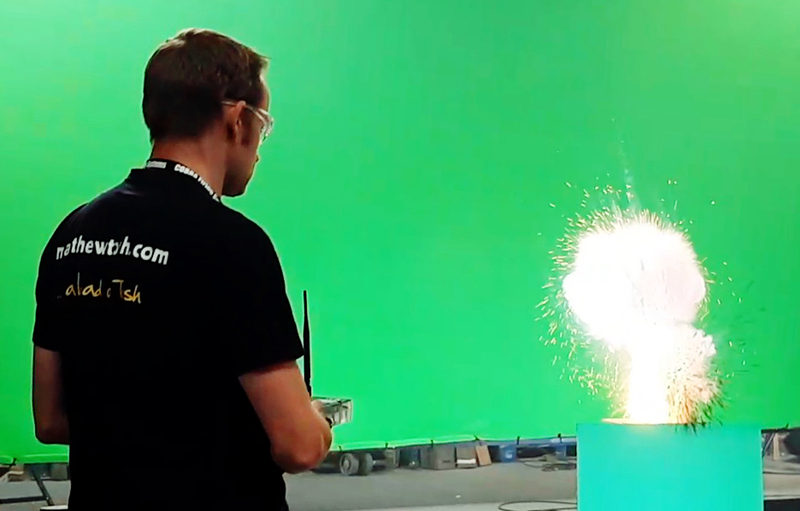 Following a theatrical volcano project earlier in the year, Matthew stepped up to the mark and scoped out a series of scaled effect sequences to be shot against green screen. He teamed up with Mark Lewis from Aardvark FX when it came to building specific rigs and testing debris launchers. “We were clear that the eruptions had to feature explosive elements, with flying debris. But we also wanted to give the production team a variety of eruption styles to include on the volcanic horizon.” says Matthew, who has a genuine interest in volcanology and geophysics. Matthew managed all Health and Safety aspects and arranged a suitable filming location near to Bristol for the shoot. Pictured after the shoot: Matthew with Tom Barnes (middle), Technical Director and Dave Alex Riddett (right), Director of Photography. The film goes on general release in the UK from 26th January. This entry was posted in News by Matthew. Bookmark the permalink.